If you’re feeling sad – have a few servings of veggies. Andrew Oswald, Professor of Economics and Behavioral Science at the University of Warwick, says eating more fruits and vegetables can help boost your mood. 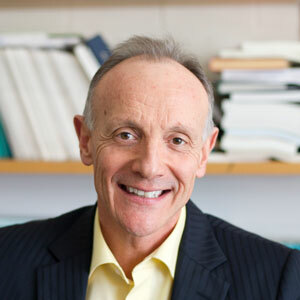 Andrew Oswald is a Professor of Economics and Behavioural Science at the University of Warwick. His research is principally in applied economics and quantitative social science. It currently includes the empirical study of human happiness, job satisfaction, unemployment, productivity, and the influence of diet on psychological health.. He serves on the board of editors of Science. Previously at Oxford and the London School of Economics, with spells as Lecturer, Princeton University (1983-4); De Walt Ankeny Professor of Economics, Dartmouth College (1989-91); Jacob Wertheim Fellow, Harvard University (2005); Visiting Fellow, Cornell University (2008); Research Director, IZA Bonn (2011-12). He is an ISI Highly-Cited Researcher. Everyone knows that we should eat lots of fruit and vegetables. These help ward off heart attacks and cancer. Yet there is another, and perhaps even better, reason to have 5-8 portions a day. Research I conducted with my co-author Redzo Mujcic suggests that doing so produces major benefits to psychological well-being. Fruit+veg will make you happier and more contented. Intriguingly, this ‘happiness effect’ comes through much more quickly than the health benefits. Our study examined the longitudinal food diaries of a random sample of 12,000 adults. We followed these people through time from 2007 to 2013. We measured their eating habits, and their psychological scores, and many other factors about them. Our study adjusted — in the jargon — for a large set of other longitudinal influences, including people’s changing incomes and personal circumstances. We tested for the direction of causality in many different ways. We found that increases in fruit and vegetable consumption (right up to 8 a day) were strongly predictive of later improvements in happiness and life satisfaction. The improvements were detectable within 24 months, and indeed probably come through much more quickly than that. Currently, most people eat about 3 portions of fruit+veg a day. The motivation to eat in a healthy way is held back by the fact that health benefits as seen as accruing way off in the future. Our work indicates that there is a payoff much more quickly. That payoff comes through the mind. This may be something to do with folate, or the bacteria of the human gastrointestinal tract, or carotenoids. The biochemistry is not yet understood. But fruit and veg are a really good investment – in your future happiness.